For the Mo's digital pencil challenge. LOVE this stamp !!! Thought it looked really sweet in black and white. Hope you are having a crafty day ! 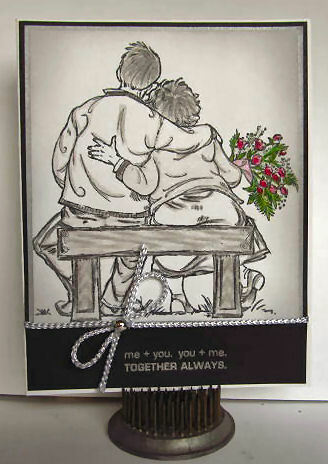 Love how you did this in black and white and that touch of red for the roses really pops the card. So glad you joined us at Mo's this week. Beautifully designed in black and white with a splash of color on the flowers!